How do I get a better work life balance? How do I get a better work life balance? Entrepreneurs and self-employed professionals have a hard time balancing the demands of their business and life. Overwhelm, stress, sleep deprivation, poor health and relationship problems are just some of the symptoms of an out of balance life. Left unchecked it can lead to burn out, heart attacks, divorce, and even business failure. We taught a diverse group ranging from a dentist, a civil engineer, filmmaker to an investment professional a powerful 4-step framework to get a better work-life balance. A game-changing approach to success and what is currently sabotaging you. Instead of time management, what should you be managing to maximize your productivity? What’s the most powerful word in your productivity arsenal? With the Titan Profit Lab, you get a whole new approach to work life balance! A game-changing weekend mentoring intensive with step-by-step strategies to upgrade your life and business so that you can win at business and succeed at life. It helps you focus on the key fundamentals of life and business. It helps creates more freedom in your business. Neeraj Shah is the Founder of Titan Mastermindz LLP, the fastest growing business mentoring company in India. 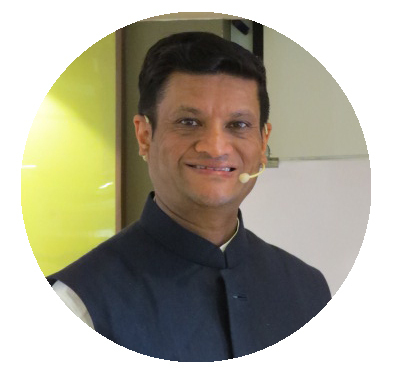 Neeraj helps motivated but overwhelmed entrepreneurs and business leaders get the clarity, confidence, and tools so that they can win at business and succeed in life. Considered to be India’s #1 Business Mentor, Shah is a contributing author to the #1 Wall Street Journal Bestseller, Masters of Success as well as several highly-acclaimed courses such as Super Productivity 2.0, Titan Profit Lab, 9 Ways To Grow Your Business & The Titan Masterminds Business Mentoring Program. Neeraj Shah is considered to be one of India’s top presenters. He has worked with and shared the stage with some of the top authors and speakers in the world including Jack Canfield, Janet Bray Attwood, and Vishen Lakhiani. Shah’s high-energy, ‘easy –to-relate’ style keeps his audience spellbound. He teaches using high involvement, ‘accelerated learning’ technologies so that participants learn faster, remember more and achieve maximum results. The change in people is immediate and permanent. Neeraj has a BSc in Economics from Bath University, UK & lives in Mumbai. 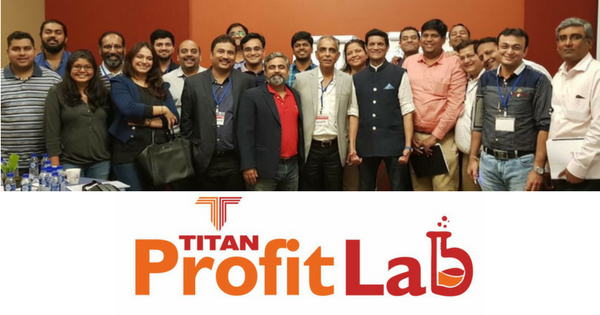 “It was a mind opening session at Titan Profit Lab workshop. Neeraj was able to easily identify our pain points at a personal and business level and showed us a step-by-step to work on them and grow in business.